Home Katiba Corner Katiba Corner: Have County Governments come of age? March 4, was the official end of the transition period to the devolved system of government. It was marked by the exit of the Commission on the Implementation of the Constitution and the Transition Authority, two of county governments’ key allies in the implementation process. Since inception, county governments have been on the defensive against the national government’s numerous efforts to usurp their powers through withholding of funds, hostile legislation and punitive administrative procedures, several of which have been declared unconstitutional by the courts. The recent state of the nation address by the President was an indication that the resistance by national government towards the full implementation of the powers and functions of counties, will not relent. It can be argued that the President should have put aside national-county politics in favour of a stately address, but instead he made full use of the opportunity to draw the post-transition battle lines – may those who have ears to hear hear. Whereas Articles 190 and the Fourth Schedule of the Constitution require national government to support the counties and help them build their capacity, and whereas the transition law outlined the requirements for this support, the national government has steadfastly evaded this responsibility. The first astute strategy of the national government has been to ignore the transition process thereby not funding it, and at other times lauding its success – implying no need for additional input. The final blow in the transition discourse, has been to declare the transition process complete. And, if this is not challenged in court, many of the pending transition functions – such as assets audit, valuation and transfer; development of national policies; update of public human resource database; transfer of pending functions performed by state corporations; costing of county functions; capacity building of the counties; setting up county pensions schemes – will remain unresolved to the detriment of county government performance. The Intergovernmental Relations Technical Committee, established under the Intergovernmental Relations Act of 2012, is expected to take up the pending transition activities. The committee is already complaining of frustration through lack of financial resourcing and subjugation of their independence by the Devolution ministry. The President also stated that his government’s most visible support for devolution, is the funding to county governments. Whereas the President claimed that counties are getting double the constitutionally required amount of 15 per cent, his statement contradicts the reality that – contrary to recommendations of the Commission on Revenue Allocation (CRA) – there has been a decrease in the share of the total sharable revenue to the counties. He also ignored the fact that functions have not been costed and there are disputes on the control and funding of functions such as roads and health. In the roads sector, it is estimated that counties are getting 32 per cent less than what was available to the local level before 2013. In another calculated omission, the President failed to mention that state corporations are conservatively holding Sh78 billion in funds that should go to the county governments. In the continuing tale of abject fiction, the President further sensationally claimed that Sh1 trillion, has been transferred to the counties since 2013. Of course no mention was made of how much the counties actually need, but remarkably – and delivered with a completely straight face – the claimed trillion includes the Constituency Development Fund (CDF), the Affirmative Action Social Development Fund (the AASDF – the women members fund) and youth funds, which are administered directly by the national government. The CDF and AASDF have been challenged in court as unconstitutional. The alleged Sh1 trillion figure, also included the equalisation grant which is yet to be disbursed due to disputes in its management structure, as the National Assembly is determined to add it to the CDF coffers. Under the constitution, it is to be spent either by the national government or passed to counties with marginalised communities in the form of conditional grants. Constitutionality of the funds appears to be least of the President’s concerns; if the slush funds keep marauding members sweet, let them have the cash and let the courts deal with issues of constitutionality- legal cost to the taxpayer notwithstanding. The coup de grace was when the President slammed county governments for ‘conspicuous consumption, self-aggrandisement, and wastefulness’. He made no mention of the missing billions from the Eurobond, the purported 40 per cent inflation of the Standard Gauge Railway (SGR) or the scandalous report on National Assembly allowances. He hit the counties where they are weak – backed by the chanting chorus of members of parliament – and milked the session for all it was worth. It appears that the county corruption narrative may have replaced the cost of counties narrative peddled a year ago. In fact the socio-economic audit commissioned by the National Assembly, found that the wage bill of the national government has increased by 40 per cent since 2013 and poses the single biggest threat to the implementation of the constitution; but this was not the day for such inconvenient truths. The President further called upon the public to monitor county governments, despite the fact that the national government had rejected proposals by the CRA to fund public participation at county level (Sh5 billion), a mere four weeks earlier. These tactics of the President go completely against the scheme of the constitution for relations between the national and county governments. Governments at both levels, are “inter-dependent” and must “conduct their mutual relations on the basis of consultation and cooperation”. Inter-governmental relations mechanisms have been set up to settle amicably differences between the national and county governments. If the President has complaints against one or more counties, this is the mechanism he should use, not publicly rebuke counties, if not actually distort facts and the law. 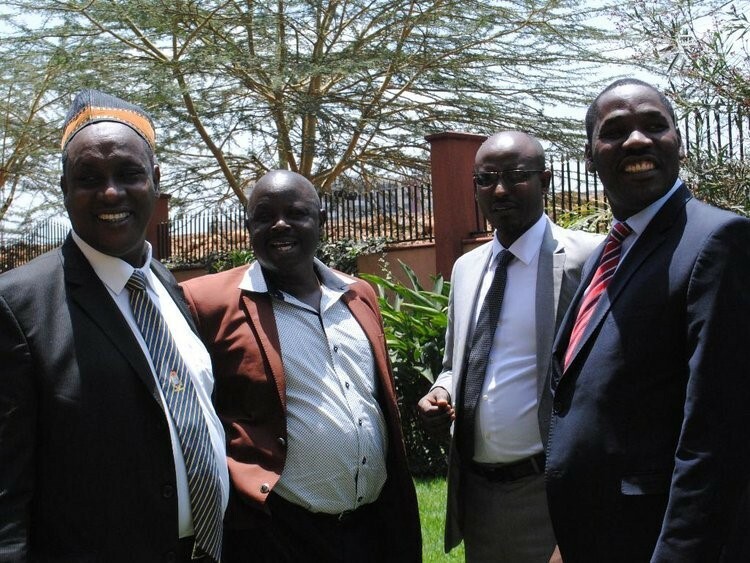 Counties in defence of devolution? So what next for counties with the renewed battle lines drawn and their bulwark gone? Have the counties come of age? Are they united enough to collectively defend devolution? First by condemning corruption within their ranks instead of the studious silence they have maintained on the issue. Can they work with the National Land Commission to prevent asset stripping? Can they identify a number of big wins to counter the negative propaganda, such as the implementation of uniform health service delivery standards across the counties? Can they bring citizens to their defence through actual public participation as we see in counties like Makueni, West Pokot and others instead of the half-hearted tokenistic approaches most counties have opted for. Counties may have to stomach some unpalatable costs to escape historical burdens that are presently bogging down their operations. Governors also need to conceive appropriate strategies to work with willing members of the county assemblies. Of course strategic public interest litigation will remain a critical part of the county governments’ success, but are they prepared to rein in the extravagant costs charged by some of the lawyers they engage? These costs are not only a huge burden on county funds but also give rise to suspicion of collusion between the governors and their lawyers. Have counties come of age to stop complaining about the national government and fight fire with performance?